Chico Commons Apartments is a 72-unit Multifamily LIHTC Project (Federal Tax Credit) located at 2071 Amanda Way in Chico. The complex was built in 1994. 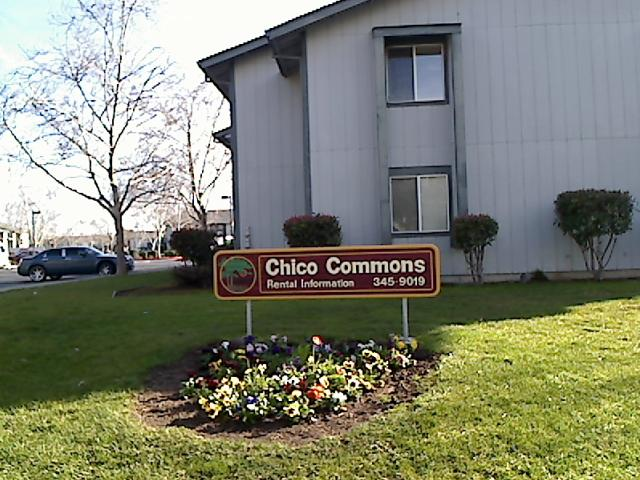 Applicants who also have a one-bedroom Housing Choice Voucher (Section 8 voucher) may be eligible to apply that voucher toward their rent at Chico Commons Apartments. Chico Commons Apartments offers spacious apartment homes in a professionally landscaped residential area. SORRY - NO PETS PLEASE! Property operated in accordance with Tax Credit regulatory Agreement, Partnership Agreement and City of Chico Regulatory Agreement.